Bacharach Fyrite Classic Oil burner combustion testing kit for Carbon Dioxide (CO2) 0-20%. Fire Efficiency Finder, moisture absorbtion material, sampling hose assy, Tempoint (1000°F, 6" stem), Draftrite (+.10 to -.14" WC) and small carrying case. Fast, accurate and easy to use instruments for measuring and analyzing carbon dioxide or oxygen. Fyrite Analyzers are available for either CO2 or O2 analysis, and each model is produced in three scale ranges. All six instruments are similar in appearance and size, but differ in important construction details, as well as in the absorbing fluids. Each model, therefore, is suitable only for the particular gas analysis or scale range for which it has been manufactured. Accuracy is within ±1/2% CO2 or 0 2 . Fyrite absorbing fluid is selective in the chemical absorption of carbon dioxide or oxygen, respectively. Therefore, the Fyrite’s accuracy, which is well within the range required for industrial and professional applications, does not depend upon complicated sequential test procedures. In addition, Fyrite readings are unaffected by the presence of most background gases in the sample. The number of tests possible with one fluid charge depends on the concentration of samples being tested. At midpoint scale reading the CO2 fluid is good for approximately 300 gas samples and the O2 fluid for 100 tests. The need to replace fluid can be easily determined with a simple test, and replacement is an easy procedure. These test procedures, as well as other good information, are provided in the Fyrite manual 11-9026. Fyrite Indicators have a broad range; they may be exposed to ambient temperatures from -30° to 150°F, and gases up to 850°F may be tested with standard aspirator sampling equipment (special sampling equipment for higher gas temperatures or dry gases is available). Order Fyrite Instruction Manual 11-9026. For temperatures above 1400°F, a ceramic sampling tube (Bacharach Part # 11-0164) is available. 0-7.6% CO2 – CO2 tests of controlled atmospheres in fruit, vegetable, meat storage rooms, and incubator monitoring. 0-7.6% O2 – Oxygen determination in flammable gases; oxygen tests to check inertness of atmosphere in silos, fuel tanks, etc. 0-20% CO2 – Flue gas combustion tests; CO2 tests of heat treating atmospheres. 0-21% O2 – Flue gas combustion tests, oxygen deficiency test. Checking oxygen concentrations in hydrogen cooled generators and oil sealed inert gas transformers. 0-60% CO2 – Checking CO2 in inert gas blankets in tankers and barges carrying gasoline and other combustibles; CO2 tests on lime kilns; checking CO2 in sewage plant digesters. 0-60% O2 – Oxygen test in connection with oxygen and gas anesthesiology. Single KitsSingle Kits contain either a Fyrite CO2 or a Fyrite O2 Indicator, Sampling Assembly and a carrying case. 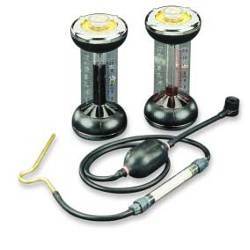 Duplex KitsSpecial Fyrite Kits containing various combinations of Oxygen and Carbon Dioxide Indicators, Sampling Assembly and a carrying case. Repair KitsOne bottle of Fyrite fluid, valve plunger gasket, top gasket, screws, diaphragm, and envelope of filtering material. Refill KitsTwo bottles of Fyrite fluid, top gasket, screws, and envelope of filtering material. 0011-7032 Bacharach Fyrite Classic fluid bottle for Carbon Dioxide (CO2) 20% ..
> COMBUSTION > CARBON DIOXIDE : 3 Items found. Bacharach Fyrite Classic Gas Analyzer for Carbon Dioxide (CO2) 0-20%, 0-60% or 0-7.6%. Broad range. Includes sampling assembly and carry case. Bacharach Fyrite Classic Oil burner combustion testing kit for Carbon Dioxide (CO2) 0-20%. Fire Efficiency Finder, moisture absorbtion material, sampling hose assy, Tempoint (1000°F, 6" stem), Draftrite (+.10 to -.14" WC) or MZF Draft (+.05 to -.25" WC). Tru Spot and large carrying case. 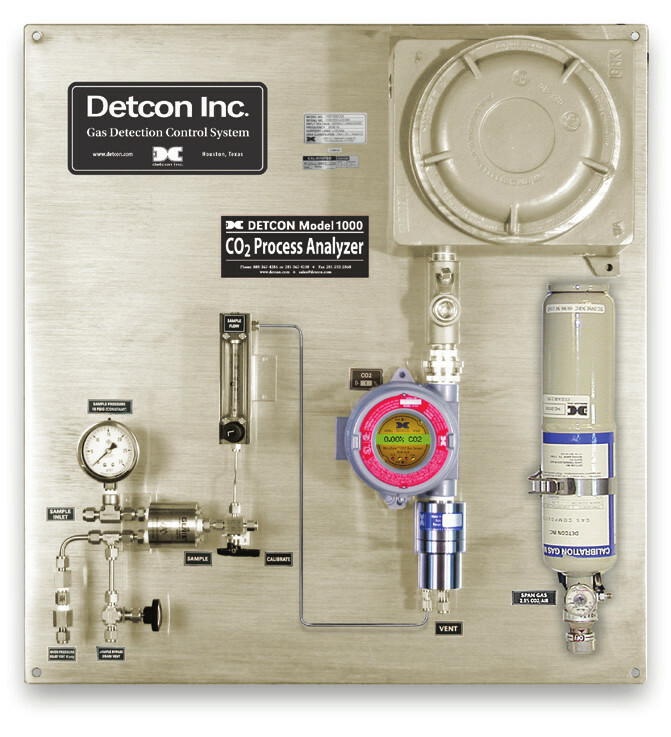 Detcon Model 100 CO2 Carbon Dioxide (CO2) 0-0.3% to 0-25% Analyzer with Non-dispersive Infrared sensor. 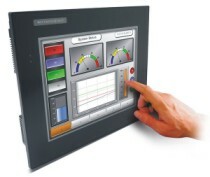 Continuos, accurate and real-time measurement. Includes 4-20mA, alarm relay and RS-485 outputs.